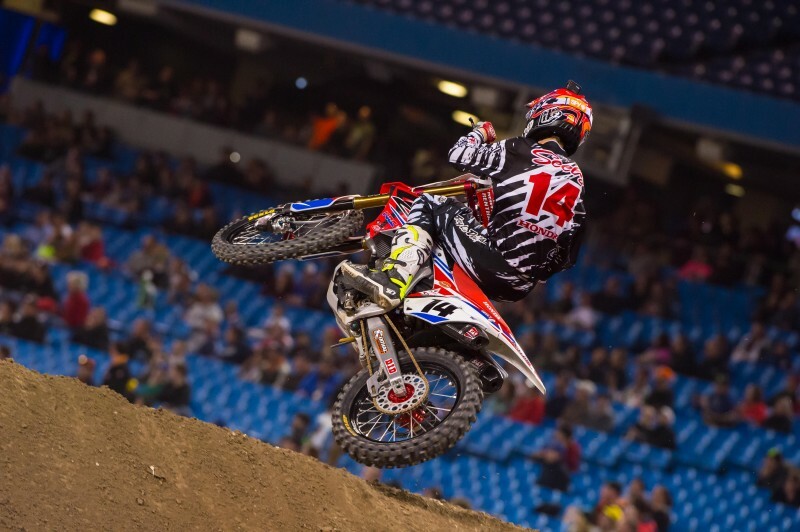 The Canadian round of the AMA Supercross series was a positive one for Team Honda HRC, as Cole Seely turned in another solid performance, finishing just shy of the podium in fourth, while teammate Trey Canard took the checkered flag in seventh. 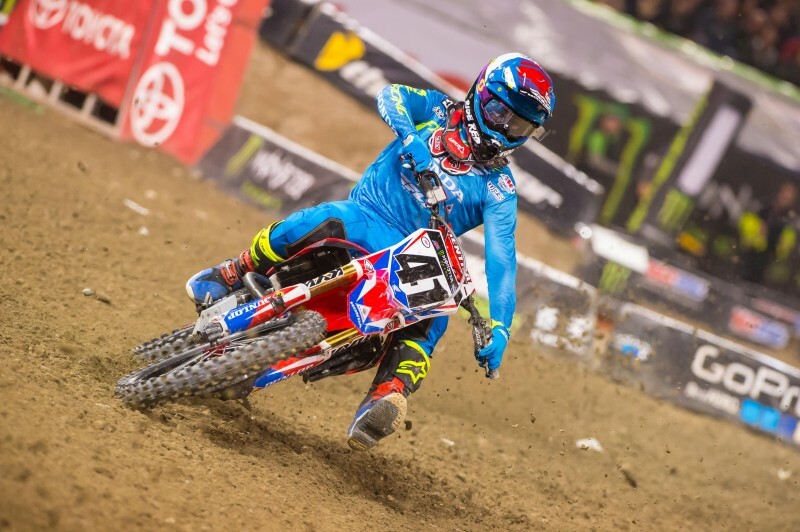 When the gate dropped, Seely launched his CRF450R to a fourth-place start before relinquishing one position a few laps in. 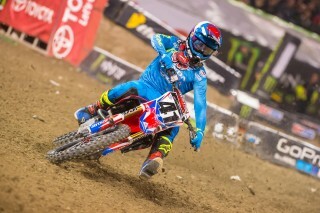 He maintained fifth for the majority of the race but on lap 16 was able to close in and overtake Eli Tomac before completing the race in fourth. Canard also enjoyed a good start but was collected in a rhythm-lane crash on lap one. He rejoined the race in 14th place and spent the remainder of the event navigating through traffic, eventually settling for seventh. 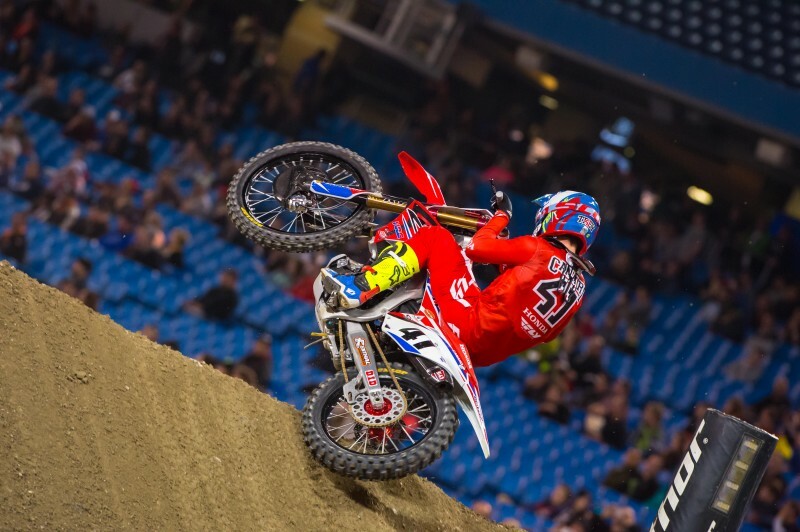 This event marked the only international stop of the season, and Team Honda HRC opted to bring only its technical truck across the Canadian border, and not the hospitality truck. By employing some creativity, the entire team and both riders were able to work out of one area. 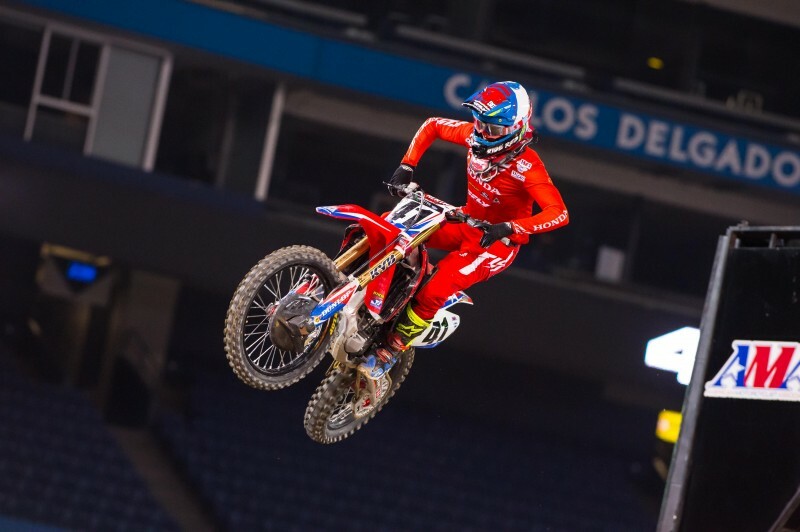 With the paddock closed to the public, Cole Seely and Trey Canard joined other top riders in the concourse of Rogers Centre, to sign autographs for fans who purchased a VIP experience. In a 30-minute time frame, they met with nearly 200 excited supporters. 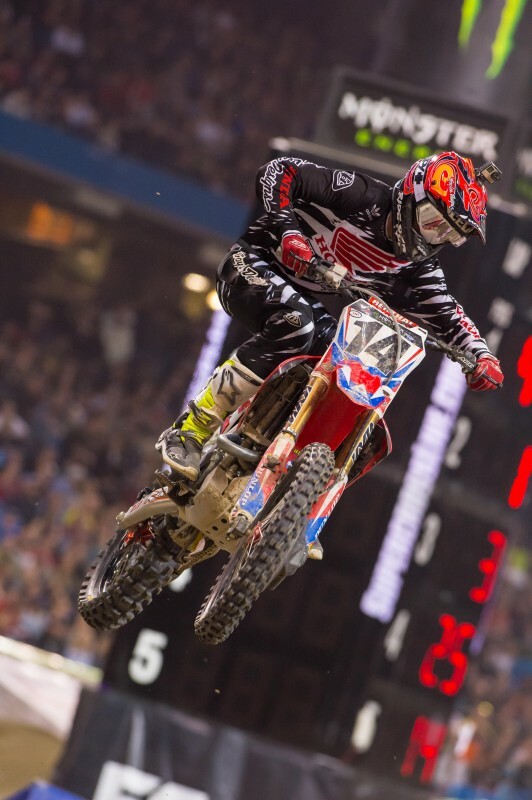 For the second time this season, Canard topped daytime qualifying by laying down a blistering lap time. 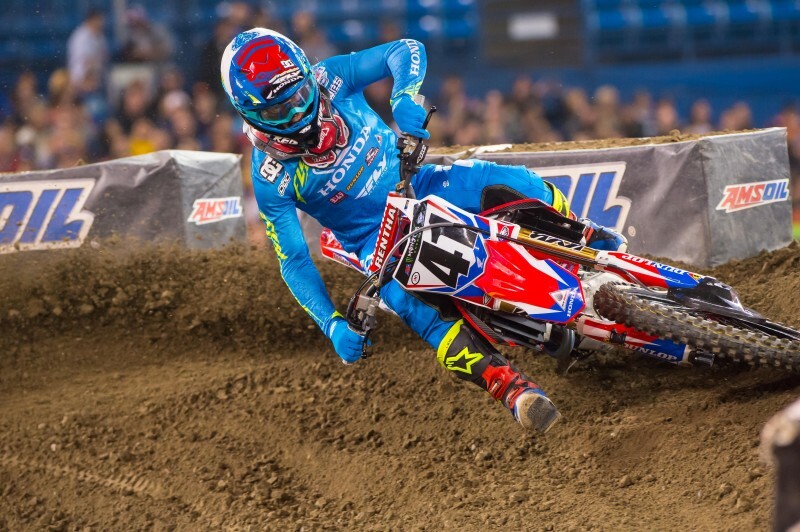 He was the only rider to break into the 53-second zone, with a 53.917, while Seely was sixth-quickest at 54.587. 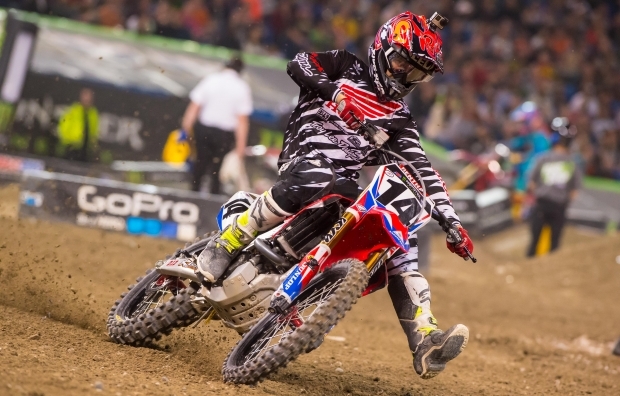 In 450SX heat 1, GEICO Honda’s Justin Bogle scored the holeshot and early lead before taking the checkered flag in second, transferring him straight into the main. 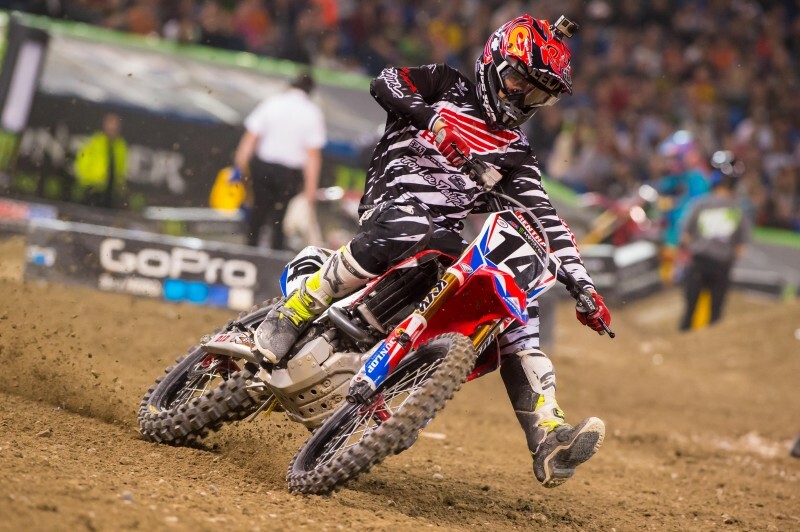 Seely, who was slotted in the same race, wasn’t as lucky, getting a bad start and finishing fifth, forcing him to qualify through the semi. In heat 2, Canard continued to impress by jumping out front early and maintaining the lead through the six-lap race to take the win and transfer. This week, the series heads to Detroit for round 11. 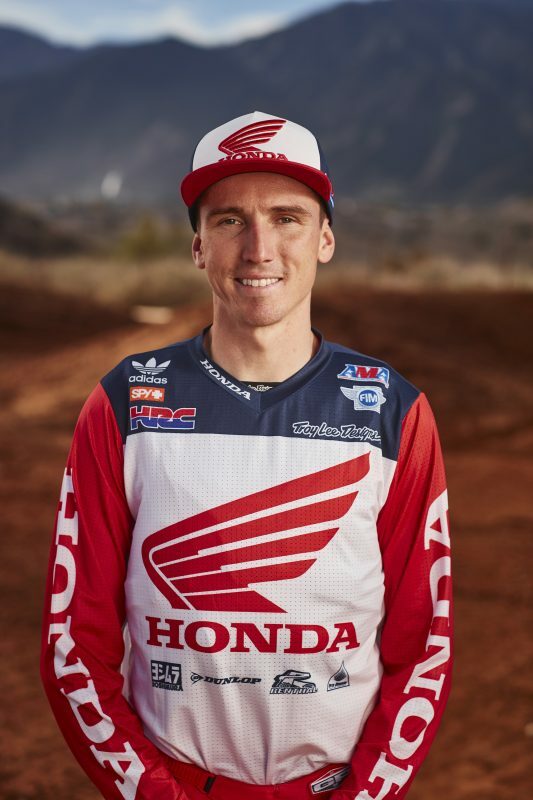 On Friday, the Honda Red Riders will make an appearance at Southgate’s Genthe Honda from 6 to 7:30 p.m.
Before the gate drops for the 450SX main event each weekend, there is a lot of preparation that riders put into their day. A typical race day sees riders arriving at the venue shortly before the track walk at 10:30 a.m., followed by a riders meeting. Some then choose to attend a chapel service, while others head back to the truck to get geared up. After warming up and stretching, they’ll hit the track for practice. Between the three sessions (one of which is timed), riders spend considerable time debriefing with the team about bike setup, and watching film to evaluate line choices. After the first timed-qualifying practice, Canard and Seely typically spend 30 minutes signing autographs for fans before taking to the track for the final time before the evening program. Each rider spends his time before opening ceremonies differently. Some prefer to take a quick nap after dinner, while others listen to music to get in the zone, or spend time socializing with the team. Once it’s time to go, they get geared up again and head inside the stadium. Between races, the riders have the same routine as during practice and spend most of the time watching film and getting prepared for the main event. 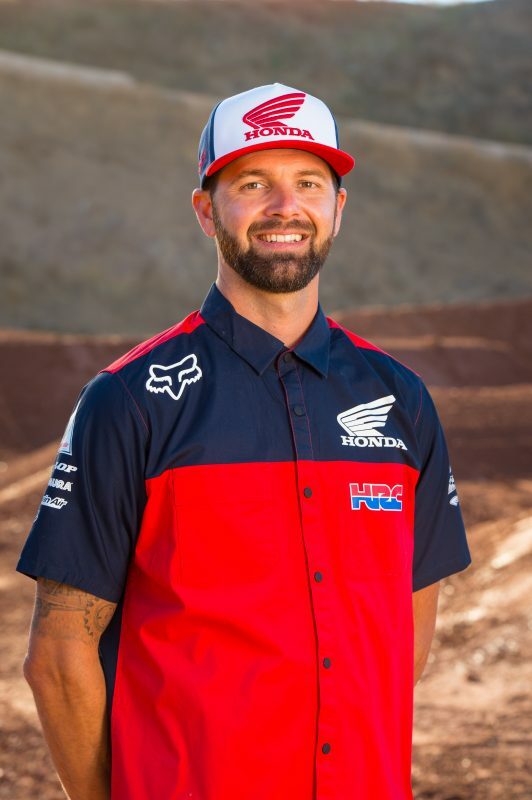 While most of the rounds have a fairly standard schedule, some vary to include rider meet-and-greets and interviews before, after or between practices. Qualifying was really close for everyone and I did well in sixth. I got a late jump in the heat race, starting about seventh and was almost able to pass into a transfer spot to go straight into the main but didn’t make it happen. 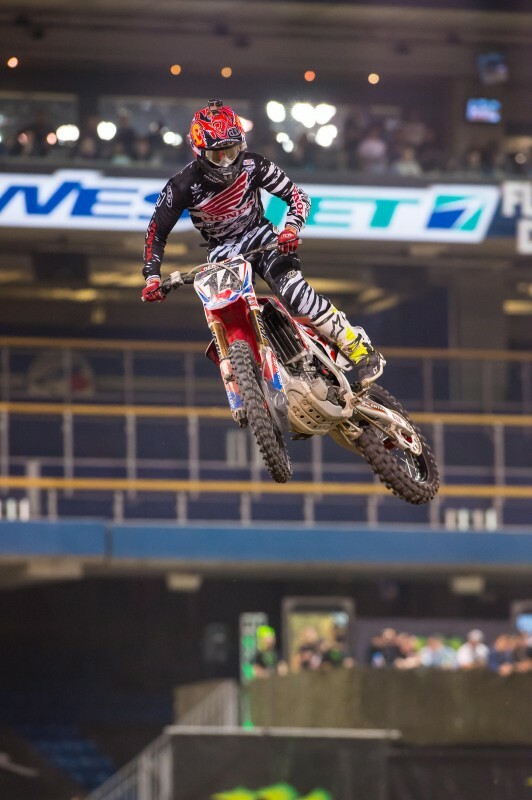 I don’t like going into the semi because then you know you’re going to get a worse gate pick for the main event, but at the same time I do like it because you’re able to scope out some lines and see how the track is developing before the main event. I started two outside of the box in the main, which isn’t great, but I knew it was almost a make-or-break situation and I’d have to put the power down out of the gate, get my shift in early and make it happen. I was able to get a good start and came out in fourth. I rode pretty good overall, made some mistakes in the beginning because I was overriding the track a little bit. I think I was a little excited to be back up front. 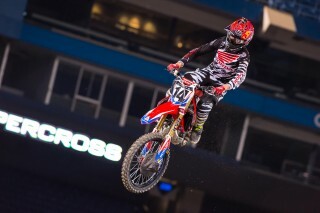 [Marvin] Musquin got by me but I was still able to make the pass for fourth later in the race, so I’m happy with that. Today was a good day. To qualify fastest was a huge thing for me and I got a good start and won the heat race. I got another good jump in the main but unfortunately got tangled up in the first rhythm lane. It’s hard to come from the back, which seems to be the theme of my year, but I think I rode well so it is what it is. We just need to keep focusing on what we can do better. It was a good day for Cole. We made a few small suspension changes throughout the day, going stiffer on the front and rear to give it more hold-up, mainly in the whoops. They ended up knocking those down a bit, which was a bummer but the changes were good and he was happy. Cole didn’t get a good start in his heat race but turned it around in the main event and was able to start up front. I think he just overrode the track for the first four or five laps and was making a lot of little mistakes, so once he settled in and got a flow going he rode pretty good. I think to be able to close in and get Eli [Tomac] for fourth at the end was a real positive.